To many of us the Apple TV is more than just a device; it’s a lifestyle, one that needs tender love and care. 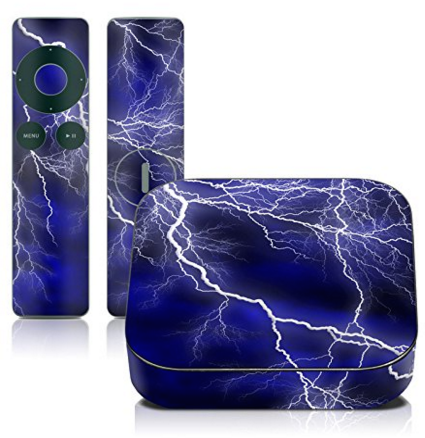 That being so we have compiled the best deals on skins/stickers for Apple TV 1/2/3/4. The variety of skins/stickers listed here should keep your TV looking fresh and trendy. 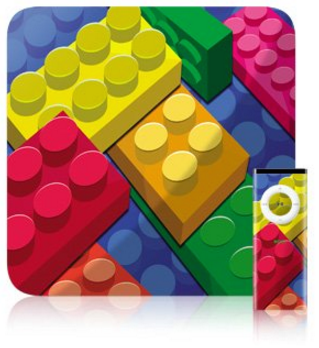 The Color Bricks Skin Sticker by My Gift will protect your Apple TV 1 while making an impression. The sticker is custom cut to fit the Apple TV 1, perfectly covering the upper surface. The skin is durable, easy to apply and remove. The skin kit also includes a matching remote control decal sticker. 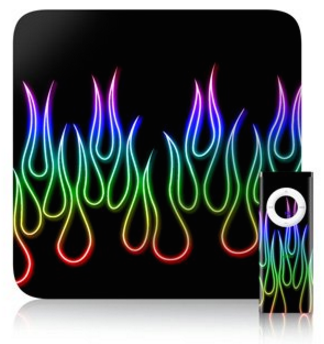 Add a little bit of flames and color to your 1st Gen Apple TV by getting the Rainbow Neon Flames Design Decal Skin Sticker. This is a high-quality; scratch resistant skin/sticker that covers the top of the Apple TV. The kit also includes a matching remote control decal sticker. The eye-catching skin/sticker is made in the U.S. and goes for $14.99 at Amazon (25% off). 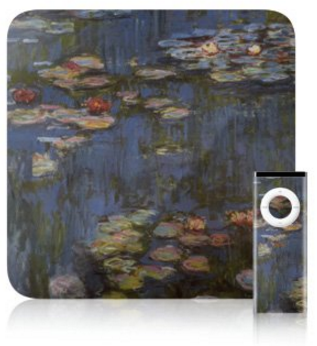 Give your 1st Gen Apple TV a new lease of life by getting it the Monet – Waterlilies Skin/Sticker. This is a My Gift product and like any other high-quality sticker it will protect your TV set from scratches while at the same time help you make an impression. The skin is easy to apply and remove thanks to its use of non-permanent adhesive. It costs $14.99 at Amazon, saving you at least 5 bucks! 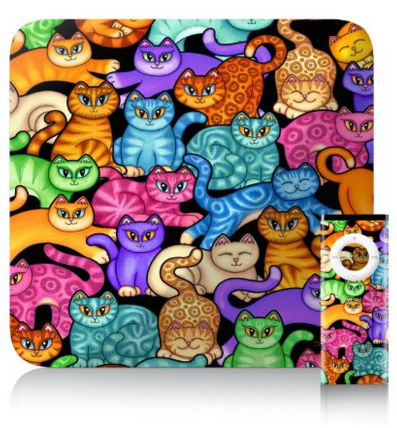 You can now keep your 1st Gen Apple TV looking as good as new using the Colorful Kittens Skin/Sticker. The sticker is made of high-quality vinyl that makes it scratch resistant. It also easily sticks and peels off thanks to its use of the non-permanent adhesive. This colorful product is available at Amazon for $14.99, saving you $5.00. 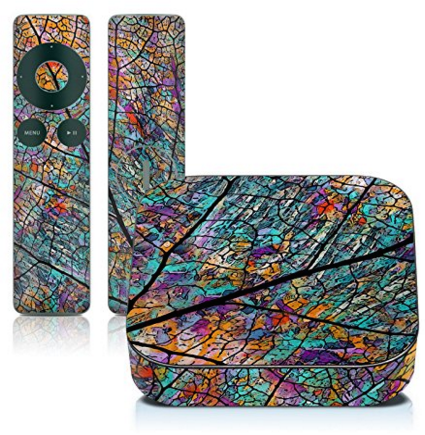 Add a little bit of “swag” to your 2nd Gen Apple TV by getting it the Stained Aspen Design Protective Decal Skin Sticker. 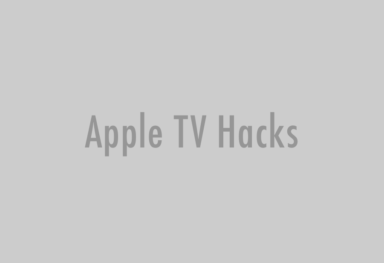 This high-quality sticker/skin covers the top and even wraps around the Apple TV set. It uses a non-permanent adhesive that allows for easy removal. The skin will protect your set from scratches using its scratch resistant protective shields. Buy it now from Amazon for just $14.99 and save $5.00. 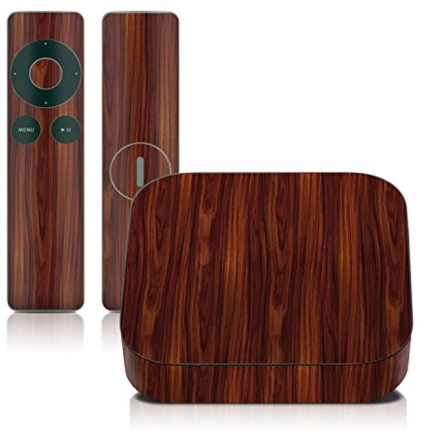 Protect your 2nd Gen Apple TV with the Dark Rosewood Design Protective Decal Skin Sticker. This is a scratch resistant skin/sticker that not only protects your TV set, but also leaves your visitors with an impression. The skin is easy to apply and remove. It is also paper-thin, so it will not add any extra weight. Get your kit from Amazon for $14.99, which is $5.00 less than the original price. 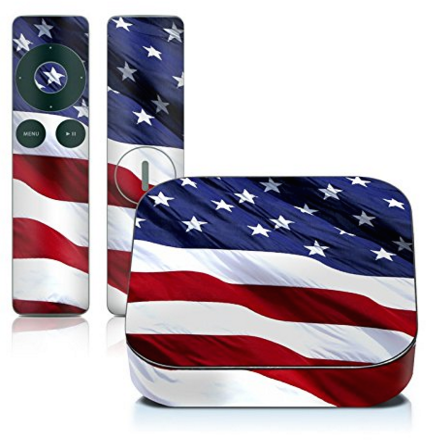 Show your patriotism by getting the Patriotic Design Protective Decal Skin Sticker for Apple TV 2nd Gen. As the name suggests, this Apple TV 2nd Gen skin/sticker will cover your TV set with the American flag. The skin easily attaches to the TV set and you can as well simply peel it off thanks to its use of non-permanent adhesive. The kit is made in the U.S. and it includes a matching remote control decal sticker. 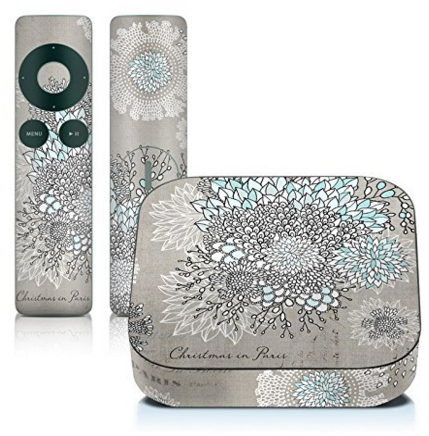 The Christmas In Paris Skin/Sticker for 2nd and 3rd Gen Apple TVs is the perfect gift for an apple lover. This art quality design decal sticker is scratch resistant and at the same time it easily installs. 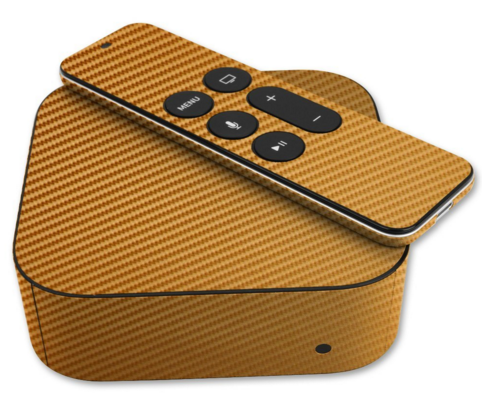 The skin completely covers the Apple TV and the kit also comes with a matching skin for the remote. Get this high-quality skin at Amazon for a reduced price of $14.99, which is $5.00 less than the original price. The Apocalypse Blue Skin/Sticker for 2nd and 3rd Gen Apple TV will protect your valuable device from dust and scratches. The skin completely wraps around the TV set and the remote. It is also thin and light so your device won’t feel bulky. The skin costs $14.99 at Amazon, which is $5 less than the original price. More skins from My Gift. If you have been searching for a trendy skin/sticker for your new Apple TV 4th Gen, then you are in luck as Skinomi has released an affordable carbon fiber series protector film. The Skinomi TechSkin is not only beautiful, but it will also provide your TV with effective damage protection without adding any extra weight to your device. The skin is incredibly strong and nearly impenetrable. The elegant film is easy to install and does not require liquids or solutions. Buy it now from Amazon at $12.95 and save $7.00. 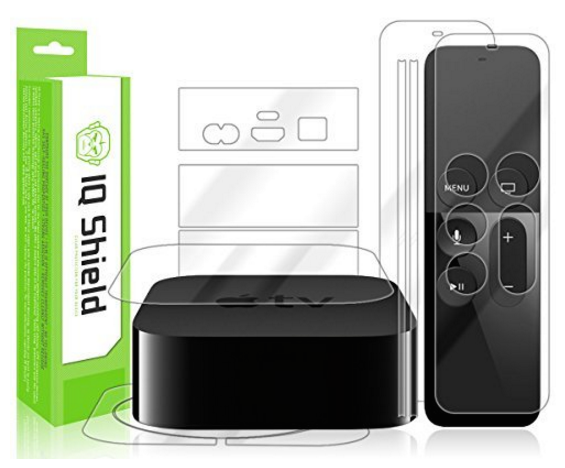 If you have been looking for a clear skin for your 2015 Apple TV then you are in luck as IQ Shield has released the IQ Shield LiQuidSkin for 4th Gen Apple TV. 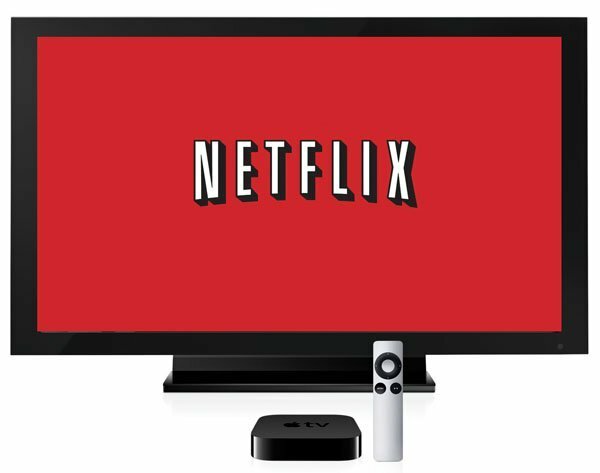 The full body kit for the Apple TV set provides a super-smooth feel and full HD clarity, with just the right amount of protection. This IQ Shield product is specifically designed to protect your TV and remote from scratches and abrasions. 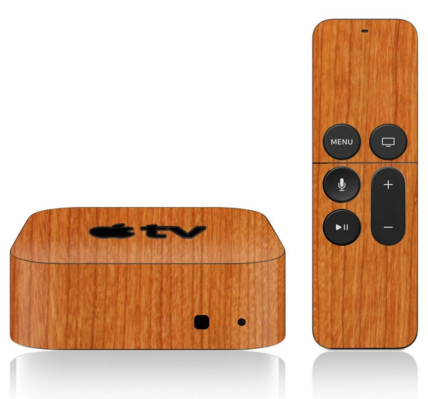 If you love the natural wood look then you need to consider the iCarbons Light Wood Skin for your 2015 Apple TV. This skin is made of premium quality vinyl decal for extreme scratch protection and easy customization. The skin is expertly crafted to a texture that is as close to the real thing as possible without the expensive price tag. The light brown color will easily match a variety of décor. Buy the iCarbons skin now from Amazon for $14.95 and save $5.00. 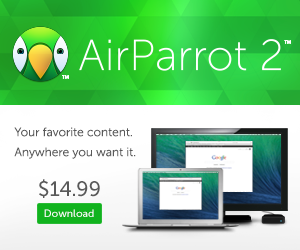 More skins for Apple TV 4 | More Black Friday deals.